Systematic theology looks at everything scripture has to say about a topic and deals with the topic at hand. In regards to systematic theology B.A. Demarest states, “Systematic theology thus begins with the totality of biblical revelation and extrabiblical truth .” Throughout history systematic theology has been a worthwhile discipline and has served the church well, and draws from a range of revelation. This revelation includes the teaching of the Old and New Testaments, and this revelation also includes “data mediated by the secondary modes of revelation, such as the created order .” Systematic theology draws on truth from the other branches of theology, such as biblical theology, historical theology, and philosophical theology. Theology and philosophy both seek to define different terms. Millard Erickson describes Philosophical theology as “theologizing that draws on the input of philosophy rather than using merely biblical materials.” Philosophy may provide some theological content and help to strengthen theological arguments. It is an important branch of theology that helps explain some things that may not be explicitly contained in scripture. Systematic theology utilizes philosophical theology to illuminate the biblical text . Biblical theology looks at the books of scripture, who they were written to, the authors, and time period to draw out the meaning of the text. In biblical theology one may look at a passage in a particular book to draw meaning while systematic theology uses that passage and everything scripture says about the topic. Therefore, biblical theology provides systematic theology with it foundation . Historical theology traces the church’s faith throughout the ages. It helps theologians by looking at various interpretations throughout the history of the church. By doing that it makes us aware of the presuppositions we sometimes read into the text . 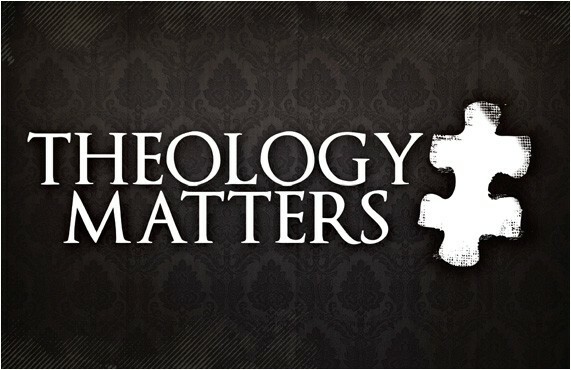 We can look at documents of great theologians of the past and discern how they did theology. Lastly it gives us a standard for evaluating an idea . Historical theology assists systematic theology by giving it historical standards by which to operate. In the future I hope to teach theology and church history. In that regard I feel that historical theology may be better suited for my future ministry. It will allow me to trace interpretation and development of doctrine throughout the history of the church. Though it may be better suited for future ministry, systematic theology is still important. There is a tendency to over emphasize the great thinkers of the past, and systematic theology may help keep us on the straight and narrow. 1. Evangelical Dictionary of Theology, 2nd ed., s.v. “systematic theology” (Grand Rapids, MI: Baker House Book Company, 2001), 1162. 3. Millard J. Erickson, Christian Theology, 3rd ed. (Grand Rapids, MI: Baker Academic, 2013), 13. 5. Evangelical Dictionary of Theology, 2nd ed., s.v. “systematic theology” (Grand Rapids, MI: Baker House Book Company, 2001),1164. 6. Millard J. Erickson, Christian Theology, 3rd ed. (Grand Rapids, MI: Baker Academic, 2013), 12. May your love of theology continue to show you the God of all Wonders, and may He richly bless your studies (and writing! ).